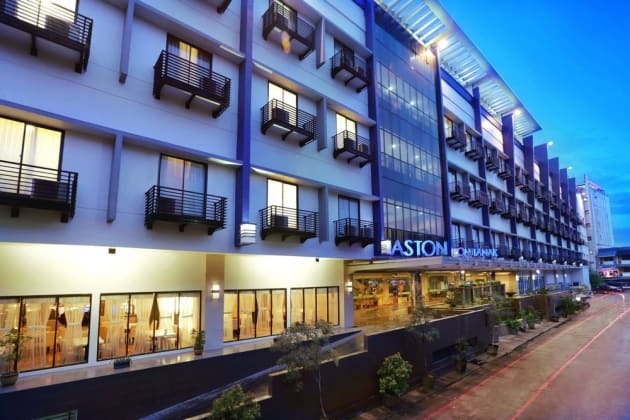 Located in Pontianak, Aston Pontianak Hotel & Convention Center is a 1-minute drive from Gajah Mada Shopping Complex and 7 minutes from Alun Alun Kapuas. 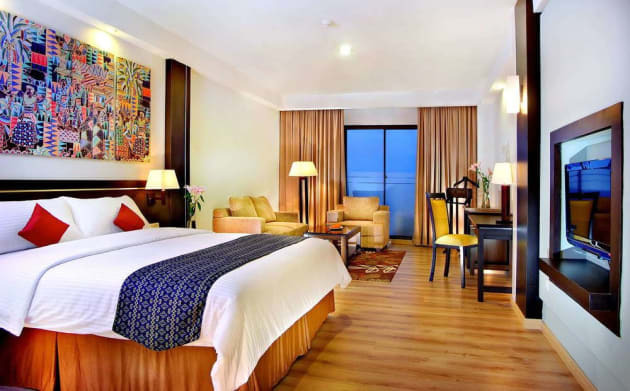 This 4-star hotel is 2.2 mi (3.5 km) from Ayani Mega Mall and 6.2 mi (10.1 km) from Equator Monument. 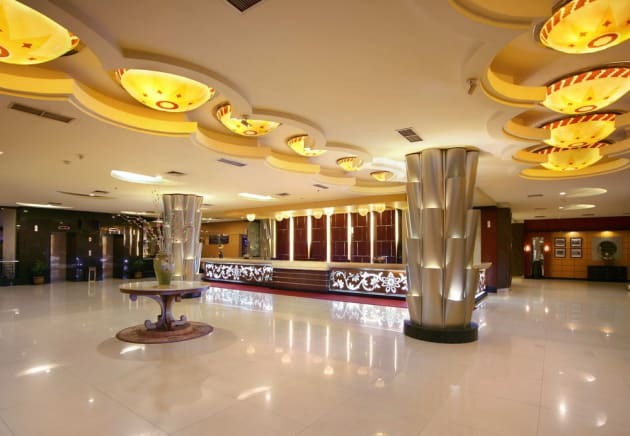 Operating a 24-hour front desk, Grand Mahkota Hotel Pontianak is located a 5-drive from the famous Kapuas Bridge. 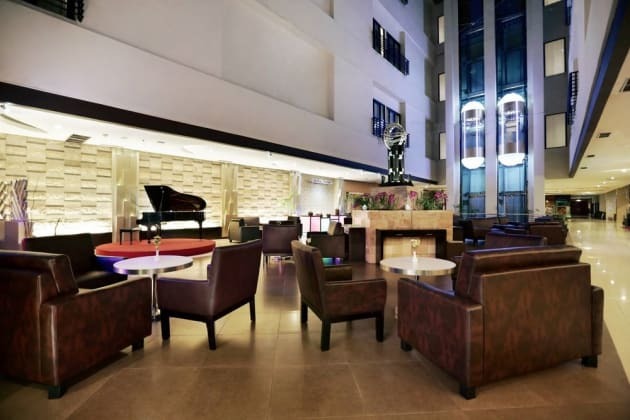 It provides complimentary parking and offers free Wi-Fi access in all areas. Featuring carpeted floor, modern air-conditioned rooms are equipped with a flat-screen cable TV, electric kettle and seating area. Includes a minibar and tea/coffee maker. The en suite bathroom includes a bathtub, shower and free toiletries. Concierge staff can assist with luggage storage, airport shuttle and meeting/banqueting arrangements. Guests also enjoy the convenience of free valet parking. Other facilities offered include ticketing service, tour desk and business centre with fax/photocopying services. Relaxing massage is available upon request. Housing a restaurant, the Sukadana Coffee Shop serves a fine selection of food for guests to choose from. Drinks are available at the Lobby Lounge & Executive Karaoke Lounge. Guests arriving from Supadio Airport can take a 25-minute drive to reach the hotel. Be sure to enjoy recreational amenities, including a health club, an outdoor pool, and a spa tub. Additional features at this hotel include complimentary wireless Internet access, concierge services, and gift shops/newsstands.